The international e-tailer vidaXL, which carries an extensive range of house and garden, DIY, personal care and toy items, etc., will consolidate its logistics operations with a huge 24.7 acre distribution center able to store 135,000 pallets. 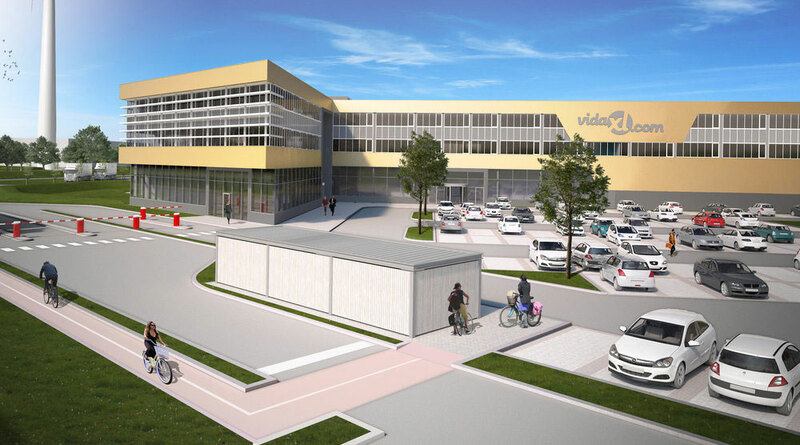 Located in a business zone in the city of Venlo (the Netherlands), the brand-new warehouse means vidaXL will double how many orders are prepared daily, up to 60,000. To achieve this work volume, Mecalux will install 39' high selective pallet racks that are 285' long. These will house 135,000 pallets of 32" x 48" that each weighs 1,100 lb. Select pallet racks are very versatile. Consequently, they can also store loads of different shapes, sizes and weights. Moreover, a racking block of the same height will also be supplied. It will be somewhat longer (312’) and have three raised walkways where the smaller sized product will be picked from 16” x 24” cardboard storage boxes. Lastly, two high-rise picking installations, also 39' tall and 262' long, will help optimize picking work. To do so, three levels of pallet flow racks will be enabled, guaranteeing the efficient input and output of the goods. A conveyor circuit will be responsible for shifting boxes from the picking blocks to the consolidation and classification zone set up in that area. vidaXL started down the road to e-tailing, when two Netherlanders began selling affordable, quality products online. Explosive growth led the business to develop its own vidaXL brand products and to launch an e-commerce shopping portal to expand internationally. The company’s success lies in offering competitively priced products, by constantly looking for ways to reduce costs, all without jeopardizing quality or customer care. Currently, the company does business in Europe, the United States and Australia through 31 online shops.